Would your little one like an Army Birthday Party? Check out all the details of Parker’s gorgeous 8th Army Birthday, sent in by Linda. I ♥︎ receiving photos from my clever customers! Linda set up the food table as an Army Mess Hall. The camo Army Birthday Cake is amazing. I love the camo colored swirls on the inside of the cake! Linda has customized my printable army invitation and then framed it to use as part of her party decorations. What a great idea! A simple brown table cloth with camo accents looks very effective as Linda’s army party decorations. My printable party sign has been used as the table centerpiece. Each party guest was given an army dog tag, army stickers, a camo cap, and ‘army water’ to complement the army birthday theme. For army party food ideas, Linda has created yummy camo cupcakes, as well as ‘deadly bullets’ and ‘canon balls’. You can see my printable food tags on the table to let the guests know what was available to eat. The kids were entertained for hours with their nurf gun games. Looks like fun! Finally all the happy army boot campers were sent home with army party favors. Linda has used my printable treat bag toppers with brown paper bags and string. Thanks so much for sharing Parker’s Army Birthday party Linda! I hope that you can use some of Linda’s gorgeous army party ideas for your very own party! 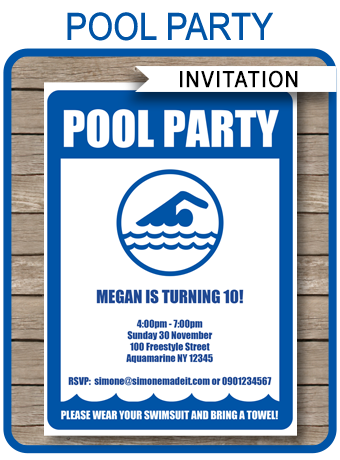 All of my party printables are instant downloads and can be customized by you at home and then printed! How easy is that?! 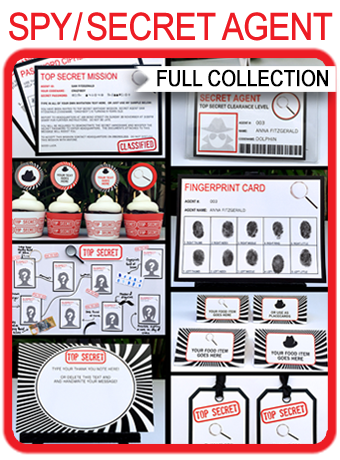 You can purchase my Army Party Printables for $12.50.